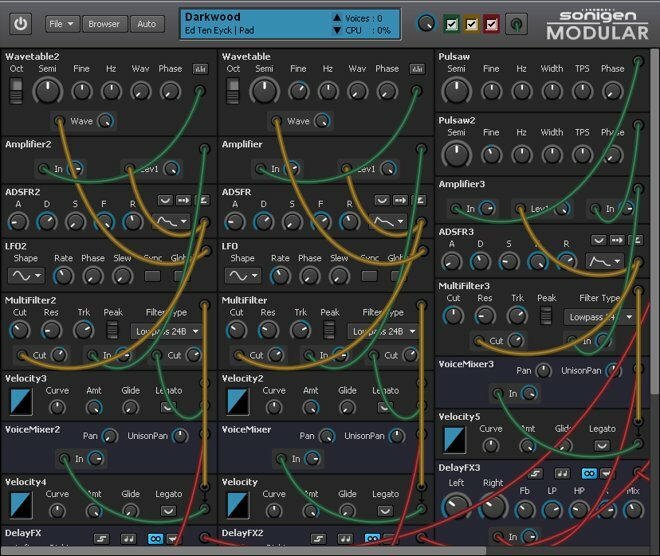 I just tested the Sonigen Modular which is a free modular synth (VSTi) by Chris Jones and this thing sounds great! It’s a very versatile synth and can produce really cool pads, basses, leads, etc. It is fast and intuitive to use, almost everything is done in the main module window. There’s no separate schematic / GUI views, no macro modules, no separate FX window. You can see what is going on just by looking at the main window. Great sound quality. A huge amount of time has been put into developing high-quality algorithms. It has very good aliasing rejection in most cases. It is CPU efficient. This doesn’t mean corners have been cut. It means hand tuned assembly and run time optimization. The audio processing code is dynamically assembled and optimized in real time as you edit and play. Fixed automation bug with Ableton Live. How would I load this into FL Studio? There’s an .exe file. You need to run it and install it to your default VSTPLUGINS folder. Then, in FLS, make sure you have set it as ‘VST plugins extra search folder’ under the Options -> File Settings. If you’re having troubles, check my tutorial on how to install VST plugins into FL Studio. Maybe worth pointing out this is only free while in beta, will be payware once it reaches v1 (ie. the fully spec’ed, bugfree version). But, yeah, a genuinely great sounding modular.